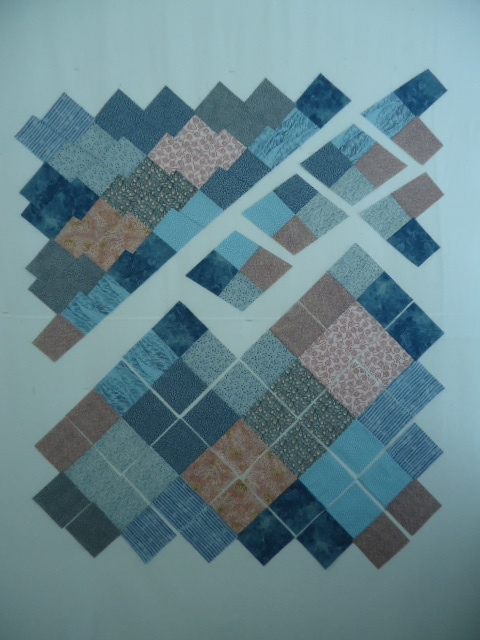 I have been a quilting derelict for months but this week I got inspired to tackle the Japanese Jigsaw I have been eyeballing. I borrowed the pattern from a friend so long ago, she probably thinks I have stolen it. 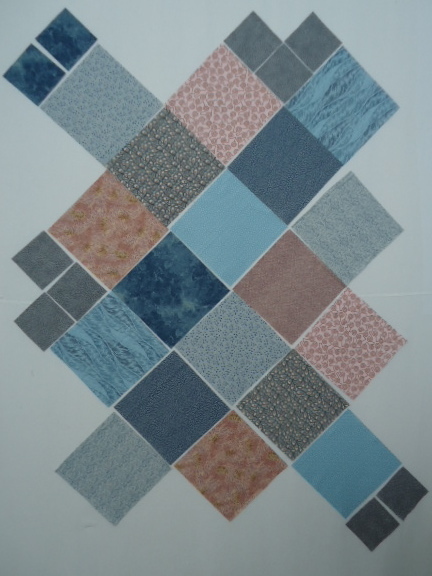 For months, I have had three fabrics on my design wall that I bought from a Japanese vendor a few years ago at QuiltFest. Every time I added something from my stash, it did not seem to work. Finally I just decided it did not have to be perfect (duh) and got going on it. It is so much fun when the real pattern starts emerging (last photo, upper left). Why was I trying to make it so hard? Here is progress so far. This entry was posted in puzzles, quilting and tagged puzzles, quilting. Bookmark the permalink. Welcome back! This is a wonderful project, and I think the fabrics go together very well. 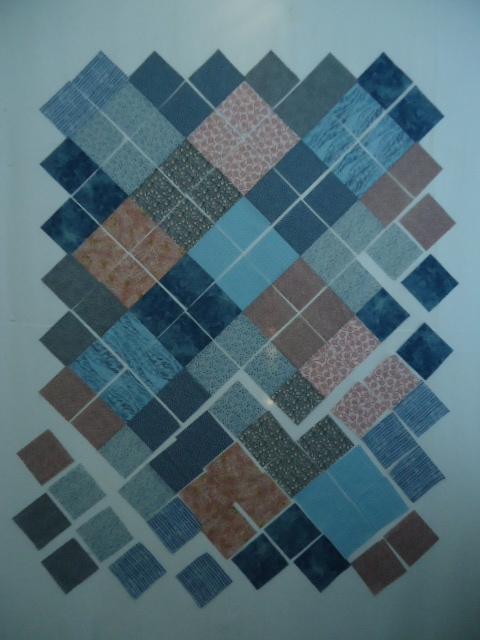 Looking good – glad to see you are quilting again. 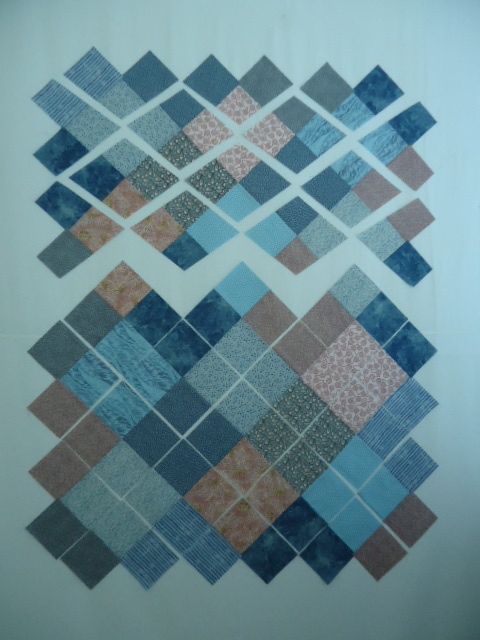 I am still in the doldrums – working sporadically on my Union Jack project. The upper half of the second picture reminds me so much of argyle – the design wall peeking through looks like a narrow white sashing.